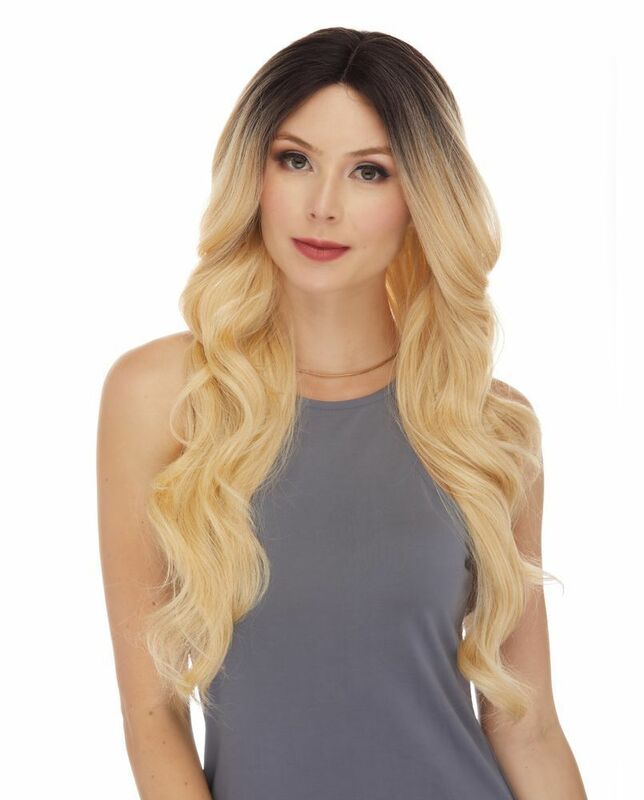 Long human hair blend wig with loose barrel waves and realistic center part. 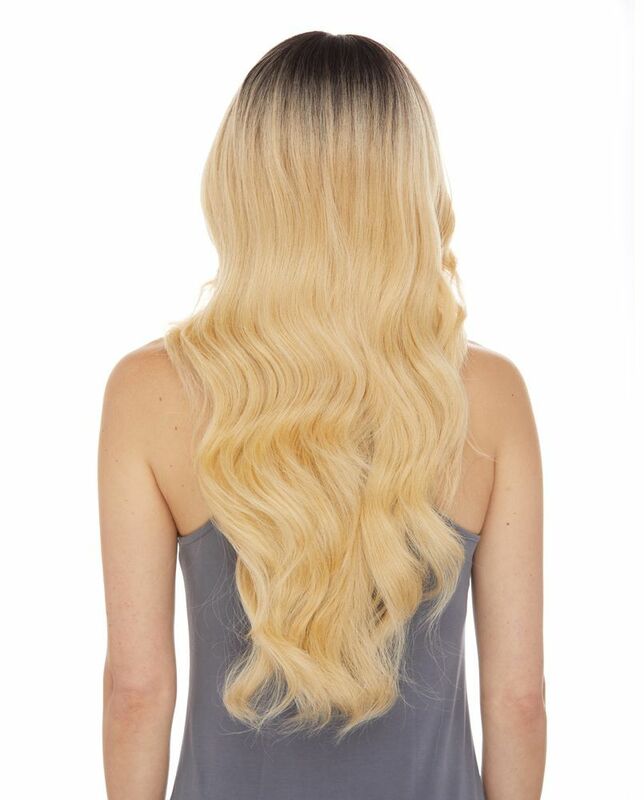 Lustrous strands in blend of genuine human hair and our silky, touchable synthetic fibers cascade down all the way to 23" length. Premium quality adult size wig. 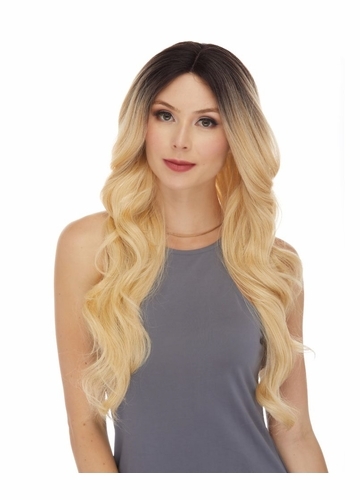 Model is wearing this wig in dark brown roots with ombre pale blonde length (DR613).